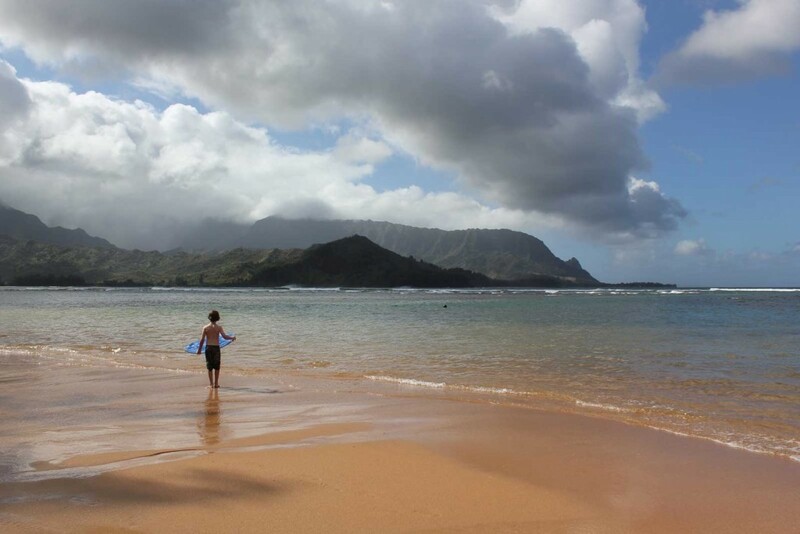 A keiki (child) looks for an opportunity to ride his skim board in Hanalei Bay on Kauai’s northern side. 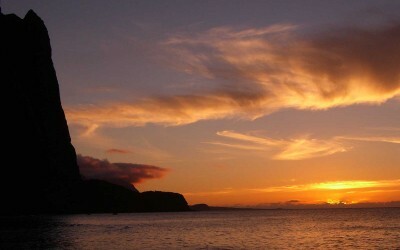 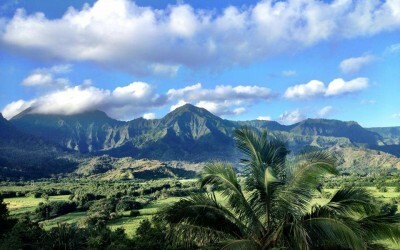 Taken near St. Mary’s resort in Princeville, this picture looks toward the west side of the bay where you can see pali (cliffs) and awaawa (valleys). 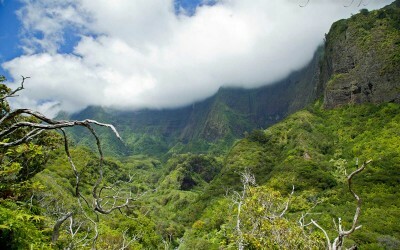 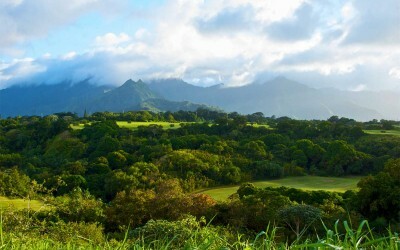 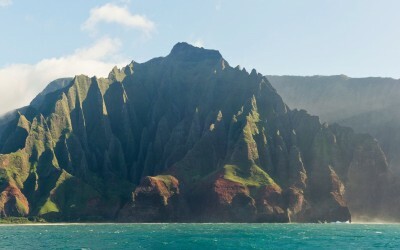 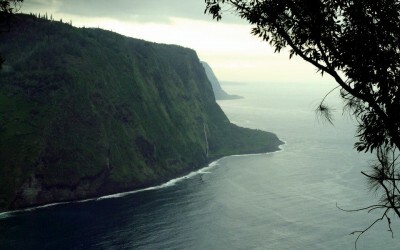 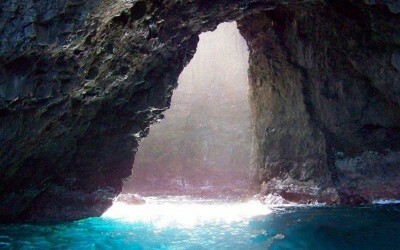 Kauai’s valleys and dramatic cliff lines set it apart from the other Hawaiian islands, in addition to the feature that formed them–massive rainfall. 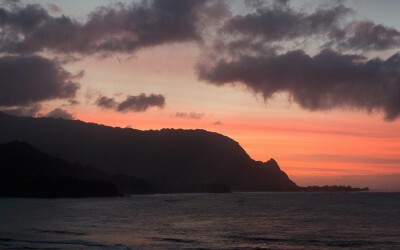 Hanalei Bay faces to the north, receiving the brunt of northern ocean swells. 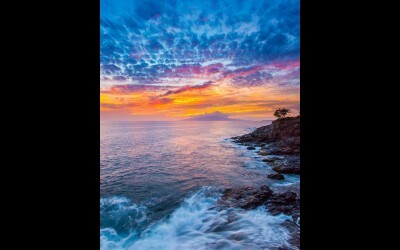 A shallow depth throughout the bay help to knock the waves down in size before they reach the shore. 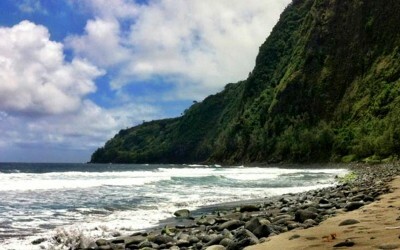 Surfers take advantage of several surf breaks in the middle of the bay while skim boarders practice their skill on the edges.